Mylife offers multimedia services to persons with cognitive challenges, such as memory impairment. Mylife services are based on services available on the Internet. Examples are calendar and photo services such as Google Calendar and Picasa. The user application runs on Android devices, such as touchscreen tablets. The Mylife services are displayed in a simple, consistent and visually clear interface which hides the underlying Android system. The user can interact with the system by touching the screen in clearly defined areas. 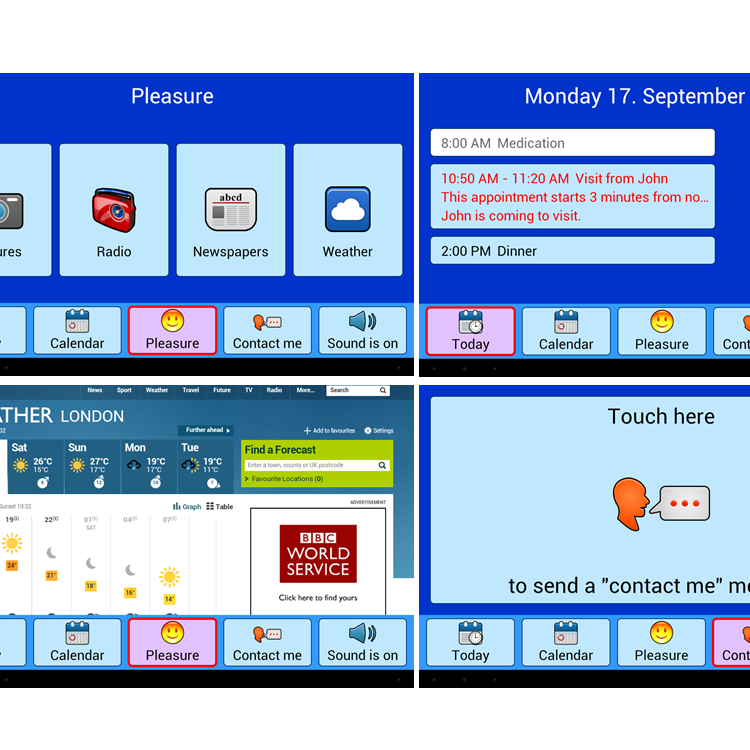 Carers manage the system through a web application. 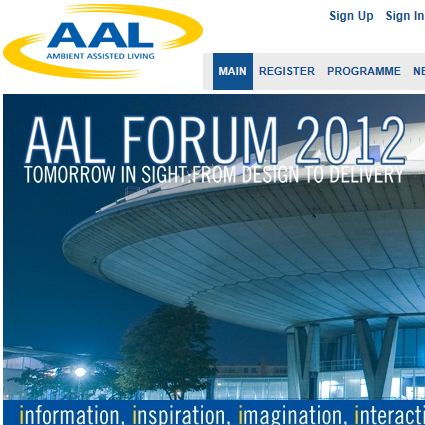 They can log in to the central Mylife server through the web interface, to configure the user application and content. Usage statistics from the user application is available, to guide in the personalisation of the services for the individual user. The user application is connected to the server, sending in status information and receiving configuration updates. Content is retrieved from sources available online, such as web pages and radio streams, based on the configuration made by the carer. 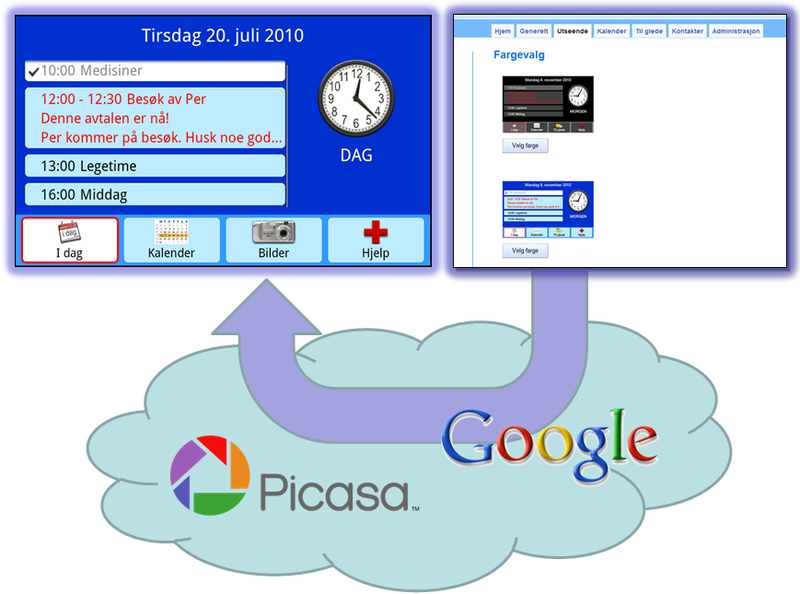 Carers use Google to manage a calendar and photo albums. Mylife is flexible and can be gradually modified to follow the user's cognitive development. When the primary end-user’s capacity or interest declines, services (functionalities) can be simplified or removed.